Exchange giant Nasdaq has confirmed plans to launch a US Treasury futures product later this month to help clients manage interest rate risk. The interest rate risk product will trade on the Nasdaq Futures Exchange from 19 July, pending regulatory approval, allowing customers to hedge against the price sensitivity of a portfolio or cash market US Treasuries. “Combined with our experience in the US Treasury cash markets on Nasdaq Fixed Income (NFI), the launch of US DV01 Treasury Futures moves us closer to our goal of helping our clients gain greater certainty of their US Treasury portfolio interest rate risk,” said Ted Bragg, head of NFI at Nasdaq. The move comes as rival exchange operator CME Group is in the process of acquiring UK FinTech powerhouse NEX Group, in a £3.9 billion deal tipped to significantly expand the trading venue’s US Treasuries business. The tie-up will look to streamline and provide new trading opportunities across spot and futures FX products, as well as cash, repo and futures products in US Treasuries with the addition of NEX Group’s FX and fixed income platforms. 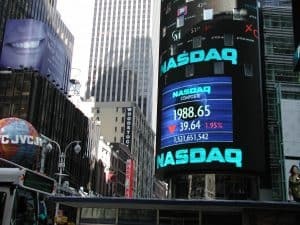 Tom Wittman, head of market services at Nasdaq, explained that Nasdaq launched its futures business (NFX) three years as an all-commodities exchange to expand on its existing global commodities business. “Based on the growth of NFX and client feedback, we feel the next step is to expand into financial futures and work closely with the futures marketplace to build off the strength of our technology,” he said.